Prominent & Leading Exporter from Ambala, we offer tool maker microscope, stereo zoom microscope, student microscope, stereo microscope, medical microscope and binocular microscope. We are one of the leading manufacturers, suppliers, and exporters of high quality Tool Maker Microscope. This product is commonly used for effective length measurement of Cartesian and polar coordinates. This product is known for its high magnification, which is about 30 X and that is achieved through 2 X objective and 15 X eyepiece lens. This instrument is having both transmitted and incident light in wooden box, for effective measurement. 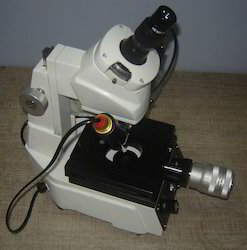 We offer high quality Stereo Zoom Microscope to our valuable customers. This instrument is designed using cutting-edge technology and sophisticated machinery. 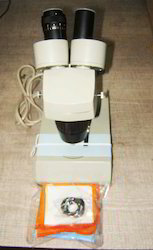 It is used for the low magnification observation of a sample using incident light illumination. This product can achieve added magnification than ordinary fixed stereo microscope through the use of auxiliary objectives lens, which increase total magnification by a set factor. These products are developed under proper guidance of our experienced and team of experts. We are one step ahead of our competitors in manufacturing and supplying Student Microscope. This instrument is a low power optical microscope, which uses visible light and a system of lenses to magnify images of small samples. This product has straight monocular body with triple revolving nose piece, which can rotate 360 degree, having safety stopper for slides. The illumination requirement for measurement is provided with disc diaphragm. Moreover, these products are manufactured using high quality raw material, which are procured from the trusted vendors in the market. We have been engaged in offering high quality Stereo Microscope to our valuable customers. 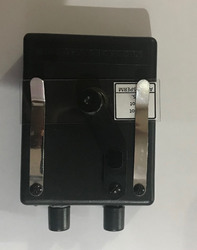 This product uses two separate optical paths with two objectives and two eyepieces to provide slightly different viewing angles to the left and right eyes. This product is widely used to study the surfaces of solid specimens. It is offered with fixed objectives lens 2 X or 3 X fixed eye piece lens 10 X, which is paired together, with a high quality magnification lens of 20 X or 30 X, for effective magnification. Moreover, these products are manufactured using high quality raw material, which are procured from the trusted vendors in the market. We are among the leading manufacturers, suppliers, and exporters of Medical Microscope. This product has monocular body that is inclinable up to 90° and equipped with mechanical tube length 160 mm, for various medical applications. This product offers convenient adjustment for slide movement. Also, this product is equipped with a high quality of safety stopper that prevents slide and objectives from any form of damage. 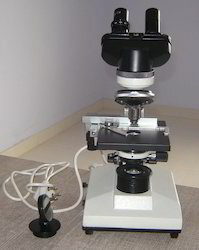 We offer high quality Binocular Microscope to our valuable customers. This instrument is offered with an optimum quality two eyepieces that allow both eyes to be fully applied while analyzing the specimens. This instrument is a sensitive focusing system free and is built in base illumination with halogen lamp that continues variable control. The two eye pieces provide a degree of depth to the image and prevent eyestrain. LED light, battery operated. Battery life for 2 years if used one hours a day.